Melodie A. of Raja Interiors in Chico, CA, wanted to find a gorgeous, antique Louis XV buffet to place in one of her client’s homes. We went searching for the perfect piece and located this beauty in France! It is delightfully carved with Rococo styling in walnut wood with a lovely grain and rich patina and it dates to 1890. When we found the buffet in France, there was a crack all the way through the glass in the right upper corner of the large glass door. 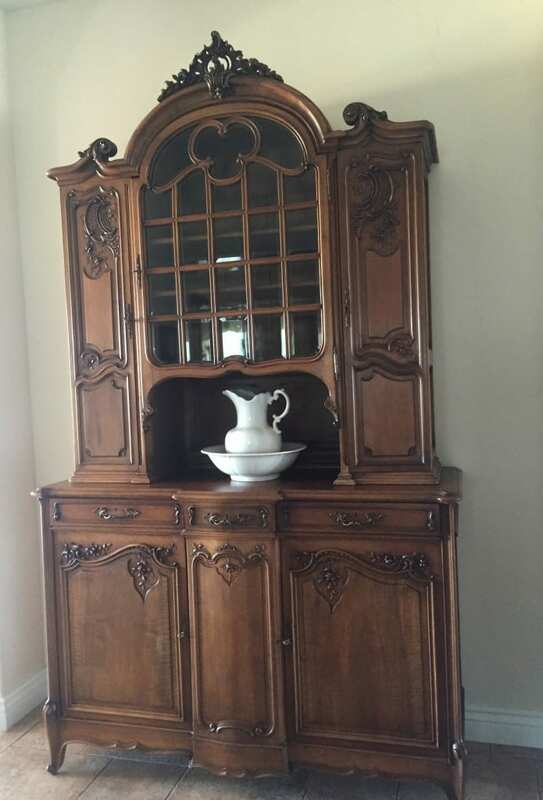 Perhaps a little wrinkle is not such a surprise for a buffet that is about 120 years old! What is more surprising is that we find so many of our antique buffets with the glass still in excellent shape. Those French craftsmen made furniture to last! 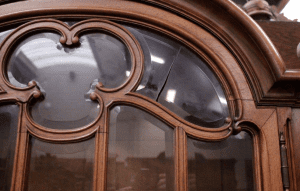 We knew we would replace that glass panel prior to shipping, but we had no idea that it would take a specialist to cut and hand-grind the bevel. We took the broken pieces to our local glass store and they explained that due to the unusual shape of the glass (it sort of resembles a paisley), their machines could not possibly cut a bevel all the way around the piece. We also didn’t want to just replace it with flat glass, as that would take away from the beauty of the buffet. After much searching and networking, I finally located a true artist, Charles Offutt, at Artisan in Glass, in Canton, Georgia. I sent the pieces to him and he said it took an entire day to hand-grind the beveled edge of the replacement glass. He is truly a miracle-worker in glass! If I didn’t know which panel had been replaced, I would never be able to tell. Here’s the buffet with the restored glass in its new home. 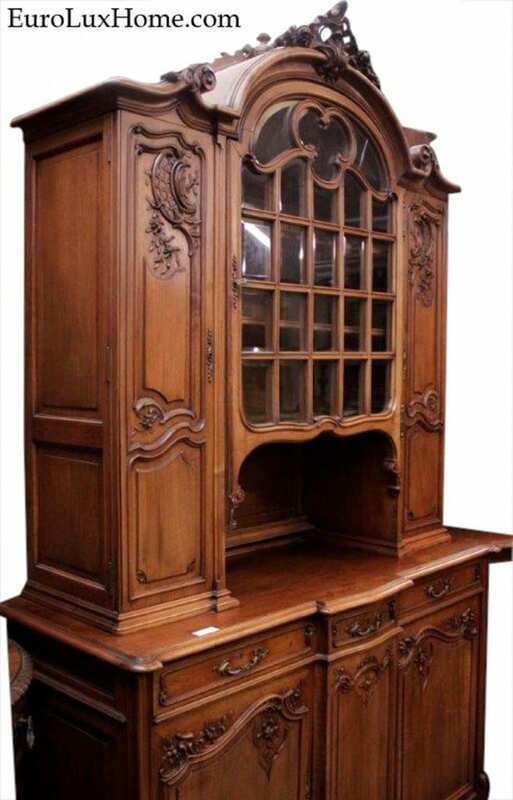 This entry was posted in Client Spotlight and tagged antique buffet, antique french buffet, antique furniture restoration, antique server, Antique Sideboards, Louis XV, Rococo Style on June 27, 2016 by admin.